This collection of essays covering many aspects of Austen's life, works and historical context provides the fullest introduction in one volume to the life and times of Jane Austen. 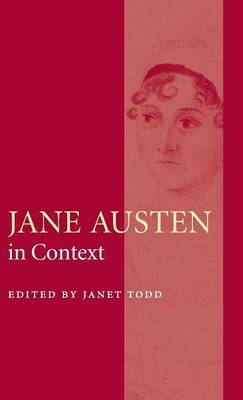 Jane Austen in Context is a generously illustrated collection of short, lively contributions arranged alphabetically, and covering topics from biography to portraits and agriculture to transport. An essay on the reception of Austen's work is also included, showing how criticism of Austen has responded to literary movements and fashions. The volume emphasises the subtle interactions between Austen's life and times and her novels. This is a work of reference that readers and scholars of Austen will turn to again and again.